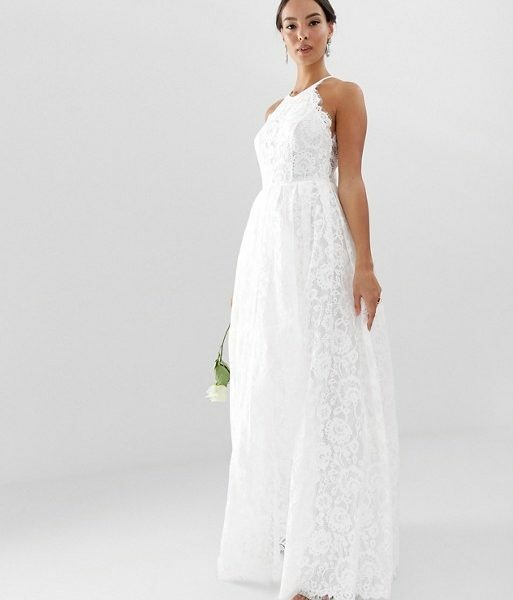 The stunning ivory lace halter neck maxi wedding dress from ASOS Edition features a halter neckline and all over lace. The floor sweeping maxi skirt adds the perfect finishing touch. Team with heels and a slim clutch for ultimate elegance.